This product is available at ITEAD INTELLIGENT SYSTEMS LIMITED, Ebay, Amazon.co.uk, Amazon.com, Amazon.de. 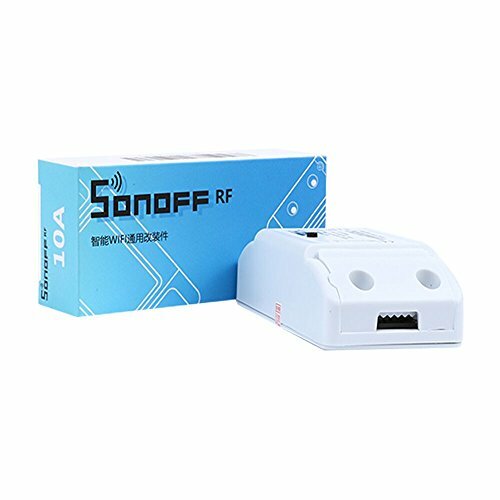 At itead.cc you can purchase Sonoff RF- WiFi Wireless Smart Switch With RF Receiver For Smart Home for only $7.20, which is 64% less than the cost in Amazon.co.uk (£19.90). The lowest price of BelievE Sonoff RF-WiFi 433Mhz Smart Home Wireless Remote Control Switch Via IOS Android，1 pcs was obtained on 7 October 2017 15 h 20 min. The RF Sonoff is a connected Itead switch. 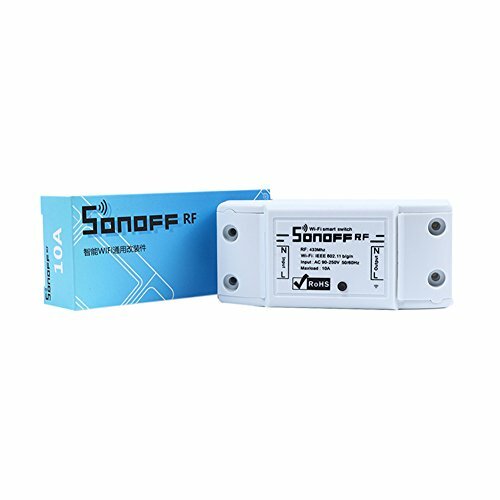 In addition to the WiFi (Basic model), it is possible to control the electrical appliances connected to the Sonoff RF using a radio remote control 433MHz up to 2200W. Its case in ABS is of standard V0 (retardant of fire). All Sonoff products can be ordered from a smartphone on the WiFi or mobile (3G / 4G) network using the EWeLink application (shown here). It is also possible to replace the original firmware with the firmware ESP Easy. You will be able to control your devices from a DIY home server (Jeedom, Domoticz, Home Assistant …) using HTTP requests or MQTT messages.